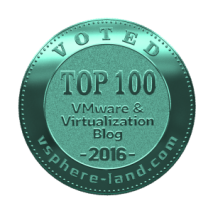 VMware training can be expensive and time consuming, but luckily, there are plenty of resources online that offer free training. It’s not just companies and organizations, but individual bloggers as well (like myself) that share our knowledge and experience with the community. Check out my v101.tv video series –> http://v101.tv for the Youtube page, or on the menu above v101. These videos are designed to tackle the topics at a 101 level and working on from there. Want to add to this list? Submit a link to be added by using the comments section. I will add it to the list. I will be updating this list, so keep checking back. Video podcasts and whiteboard sessions dedicated to anything virtual. VMware’s own free learning site that offers a lot of instructional videos. 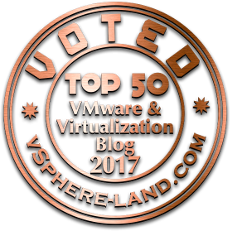 A VMware Certified Instructor that has hundreds of videos and articles to get you up to speed on anything VMware. Backup Academy is a great resource for learning all about backing up virtual machines. I highly recommend these videos!